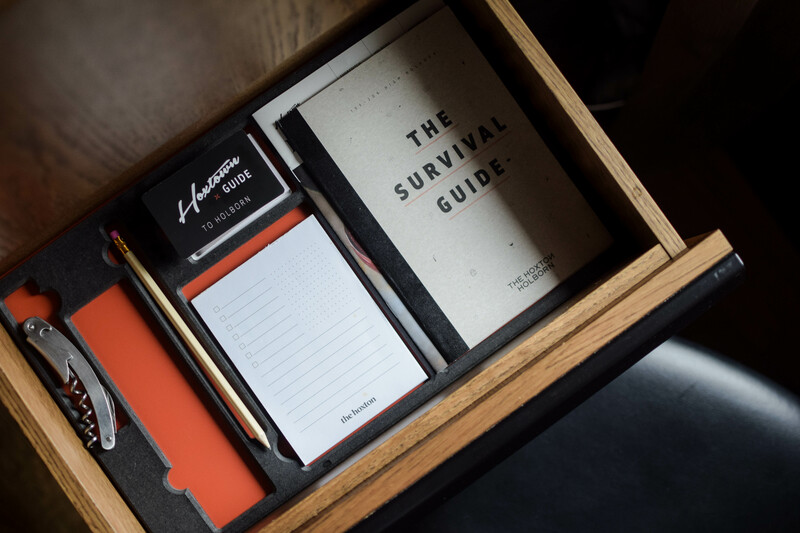 If you are in the creative community, or you just simply enjoy searching for the hippiest places in town, then you probably already know about The Hoxton Hotel. 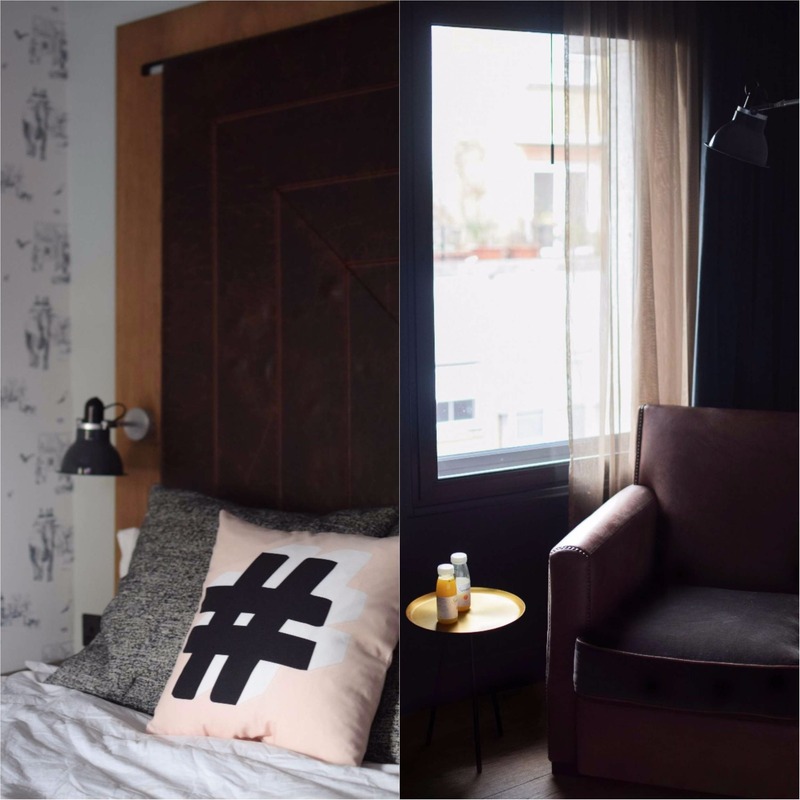 With two locations in London (Shoreditch and Holborn) and one in Amsterdam, the hotel has seen great success and is soon expanding it’s doors to Paris and Williamsburg. You can find more information on the chain here. 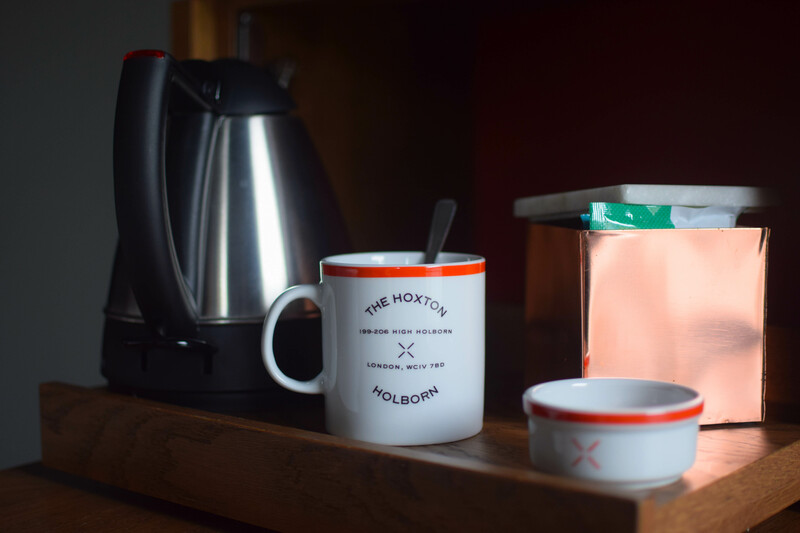 The Holborn location provides many amenities that extend to those of your normal hotel. 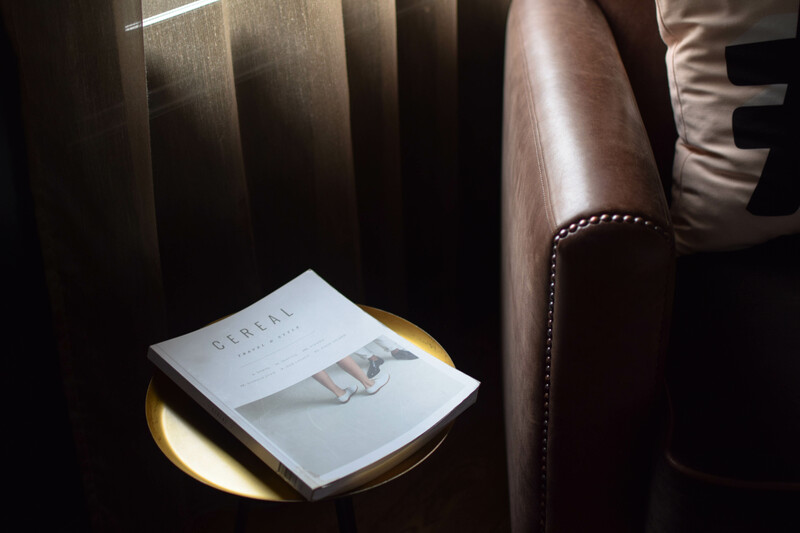 The open plan Foyer is very inviting to anyone passing by with comfortable couches and a great bar that you can enjoy a coffee or a drink, depending on the mood. The reception area also offers Mac computers to use and along with the free wifi, it has transformed the ground floor into one of the most attractive workspaces in London. It, therefore, gets really busy during the afternoon and night (especially weekend) so you might want to get there early. Hubbarb & Bell (the hotel’s main restaurant) is also housed there and it serves anything from Breakfast to a Late Night snack. (Tip: You really need to try the Caramel Pretzel Cheesecake (£7), best damn cheesecake i have had in a while). Moreover, on the basement of the hotel you can find a branch of the infamous Chicken Shop, which i haven’t tried myself yet but i have heard that they do great roast chicken, yum! 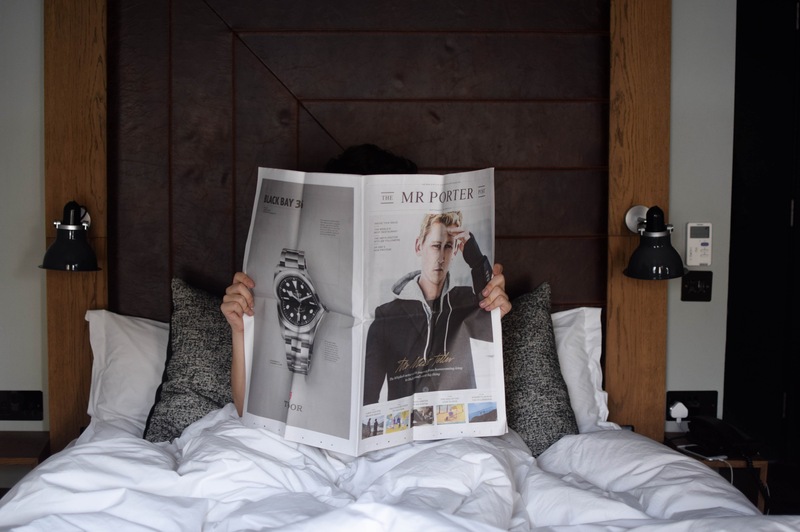 There are four types of Rooms depending on the size, all of which are very reasonable priced considering you are only few minutes away from Covent Garden. In my stay, I opted for the Cozy Room, the third biggest one, and i must admit that it really lived up to it’s name. Amenities like a comfy double bed, Samsung flatscreen TV, a Kettle with a variety of coffee/tea and fresh milk on the fridge really did make it feel like home! The room also includes a foldable desk (in case you want to work in privacy) and a tourist guide of the area if you feel like exploring. 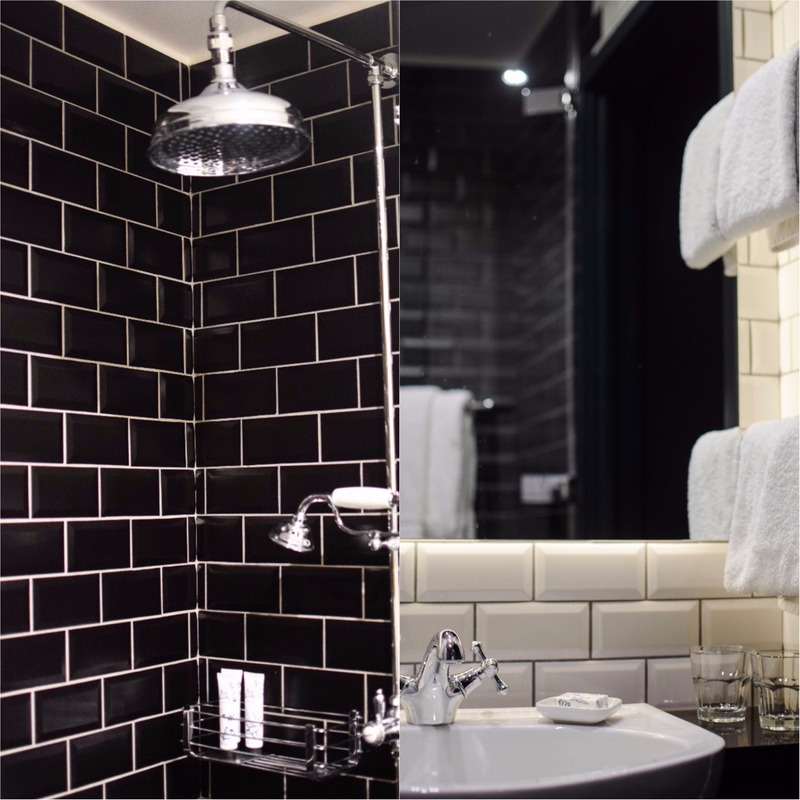 The bathroom is very nicely lit, with a rain shower head and complimentary toiletries for your stay. 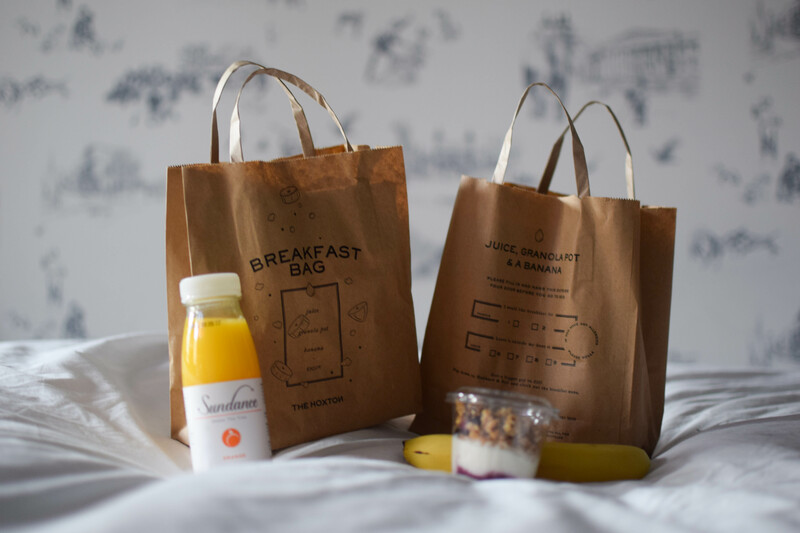 A light breakfast bag can also be delivered to your door at your convenience with a banana, orange juice and a granola pot to get your day started right. The hotel is only few minutes away from the Holborn Station where you can catch the tube to anywhere. However, The Hoxton is very central to many nice areas and i would advise you to walk instead (if whether permitted of course, after all we are talking about London here,ha!). British Museum and Covent Garden are both within walking distance and are not to be missed if you are here for the first time. Also, Seven Dials with its small quirky alleys is a great place to shop and eat. 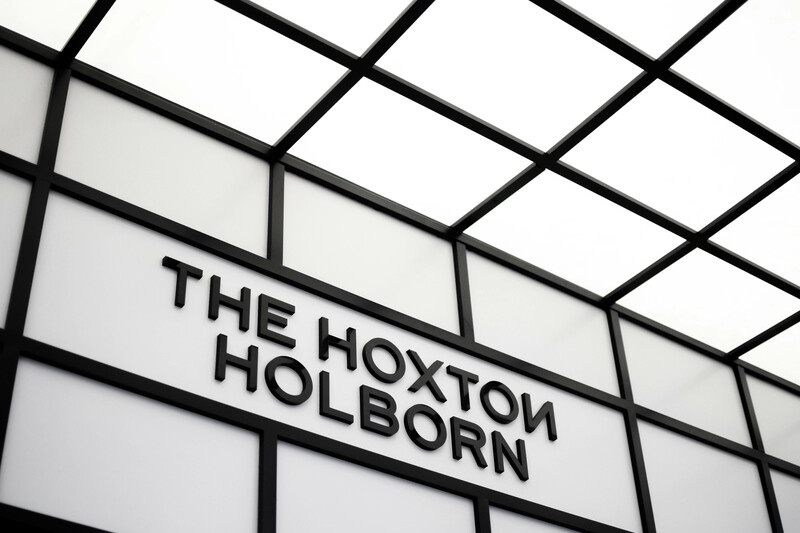 Overall, i really enjoyed my stay at The Hoxton. 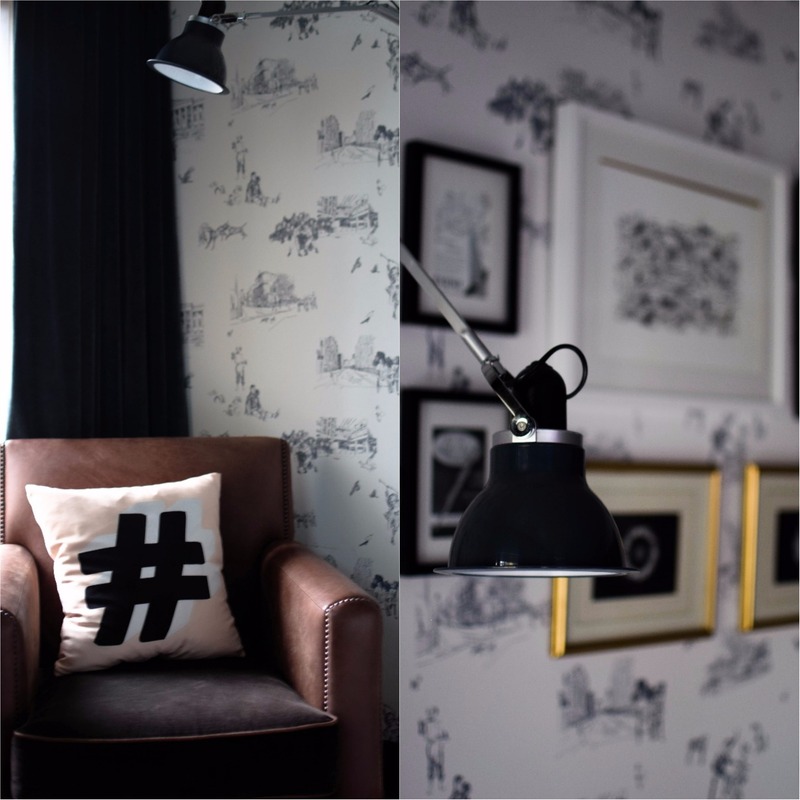 The staff was very helpful, the atmosphere was very homely and inclusive and it definitely buzzed my creative side. In addition, the area is one of my favorite in London as there is so much things to do and even though it’s walking distance to Oxford Street, it feels much more quite and relaxed. Previous Post Goodbye Winter, Hello Spring? Thank you! You definitely should, its great. Absolutely love the look of this hotel! It looks super cool and charming!!!! This hotel looks great! Hope you enjoyed your stay there! wow!!! Amazing hotel, love all the pics!! Great review and images are amazing. It looks like a great place. This hotel is absolutely stunning.